HASTEK was found 20 years ago in 1998 as the sister company of Hasmak which was one of the first injection molding machine manufacturer in between 1962-1998 in Turkey. 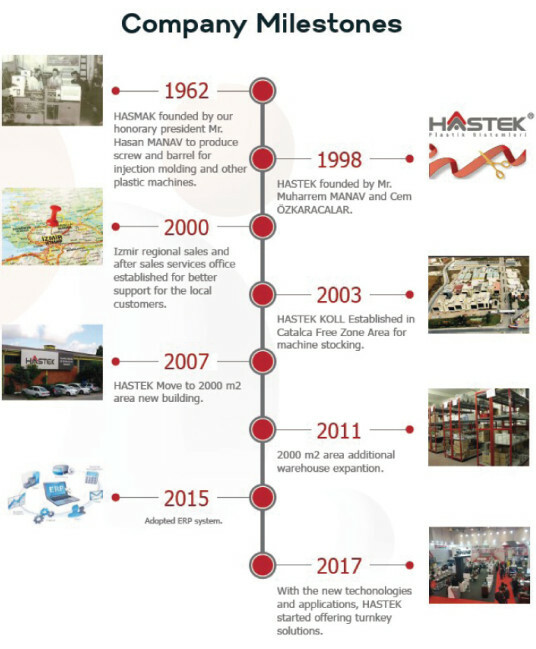 Hasmak manufacturing facility was closed 20 years ago and HASTEK has been serving the Turkish Plastic Market since then. Coming from Injection Molding Machinery manufacturing business gives HASTEK a deep knowledge of processing and understanding custom’s needs. 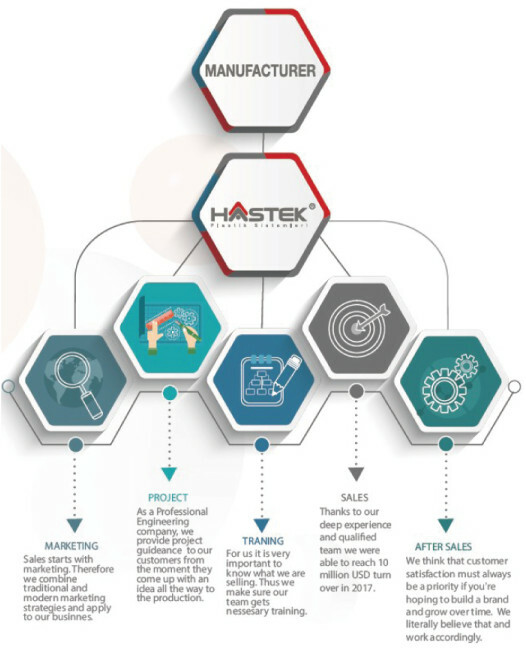 Total number of sales and after sale technicians working at HASTEK doubles its closest competitor. Istanbul headquarter has more than 50 employee and lzmir branch has 5 employee. Simple stated, we are not a random agent or dealer. 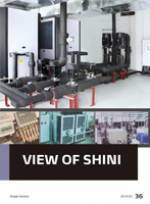 We are an engineering company with deep experience and professional approach. We take our business seriously and invest on it. 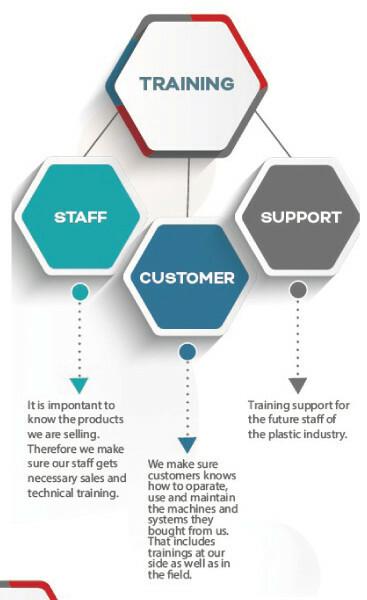 Based on the technological development in the plastic field, we would want to add new professional manufacturer companies to our portfolio to represant exclusively in Turkey in order to help our customers to solve their problems as well as to help them to be more competitive and efficient. 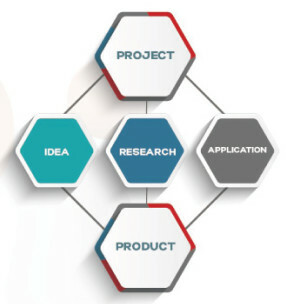 Innovation and need for P&D has become the key elements of modern era companies to survive. The ability of companies to maintain stability under competitive conditions is directly proportional to their ability to develop new products and processes efficiently and effectively. In order to achieve this competence, companies need to take very careful steps during investment planning and benefit from experience. 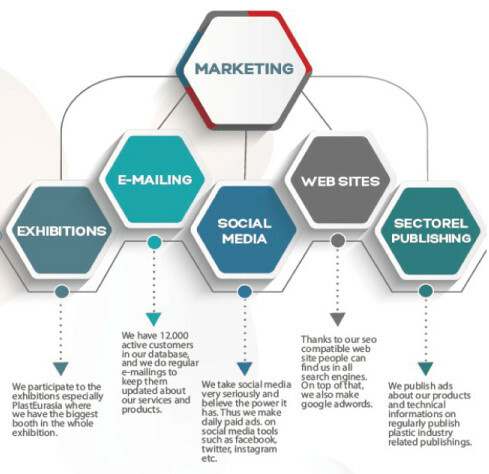 HASTEK at this point, as an effective business partner, provides full necessary project support to all its customers. As a Professional Engineering Company, with the 60 years of experience, HASTEK provides project guidance to its customers from the moment they come up with an idea all the way to the production. Updating knowledge is always the key factor to take us to success.. Being constantly in touch with our manufacturers to improve our technical and sales skills leads us to maximize our customers satisfaction. We as a large engineering team are as always at our customers disposal to give training whenever they wish us to do. Speaking of training we are also aware of our responsible to the young generation coming up. We support industrial schools with machinery and equipment donations as well as information support. In our opinion sales should satisfy customer as well as us and our manufacturer. We take every case to be a win-win case. 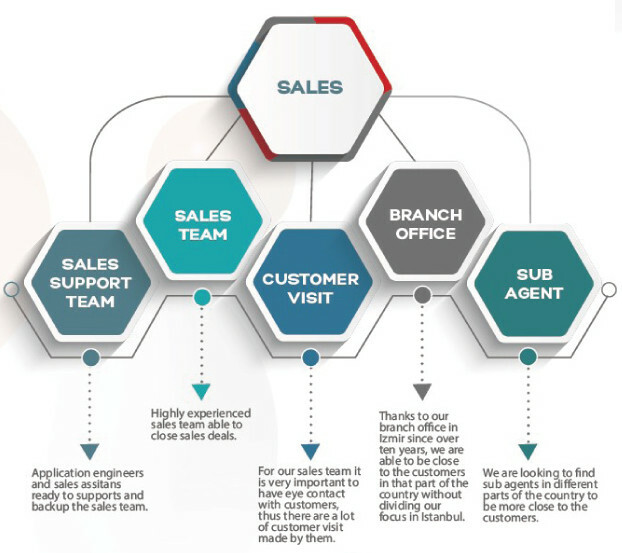 Sales story starts by choosing the right product that customers decide to buy it, our team for before, during and after sale services start working in a regular sequence to satisfy the customer at each stage. It is very important to create chances to visit customers repeadetly to have eye contact with them while discussing about their needs at their places. Therefore our sales and sales support team makes hundreds of calls daily to check if our customer needs anything. When there is a need, they pay visit the customers immediately. Thanks to our branch office in lzmir since over fifteen years, we are able to be close to the customers in that highly industrial part of the country without dividing our focus in Istanbul. Yet, we are striving to find reliable & suitable sub agents in different parts of the country to be more close to the customers. After sale service is very important for HASTEK. We believe that after sale service should be accurate and fast. Thus we invest on our engineers and technicians, and also to the equipments and tools being used during the operation. Thanks to all our manufacturers support us with the enough amount of spare parts being stocked in our warehouse for prompt afersale service. With our lzmir regional office we are able to cover entire country and do our best to maintain our machines running all the time. Last but not least, we provide feed back (from the field) to the manufacturers in order to improve product quality.